Interweave Knitting Lab is back in beautiful Manchester, New Hampshire this year! Located just an hour north of Boston, Manchester is nestled in the heart of New England and is home to a rich fiber history. Explore the scenic downtown or take in some of the area’s cultural or historical attractions. Take a look at some of Manchester’s recreational activities. Fitness Center with elliptical machine, treadmill, stationary bike, weights and mats; open daily 6:30 a.m.-9 p.m. The deadline to receive the Group Rate is April 20, 2014. Please make your reservations early and update them, if needed, once your travel plans are confirmed. Additional room nights may sell out before this deadline. Click here to make your reservations online. Once you’ve input your check-in and check-out dates, you will need to click the “More Search Options” link to open up additional options. In the Promotional Code box, enter the code KNEC14 to secure your reduced rate! 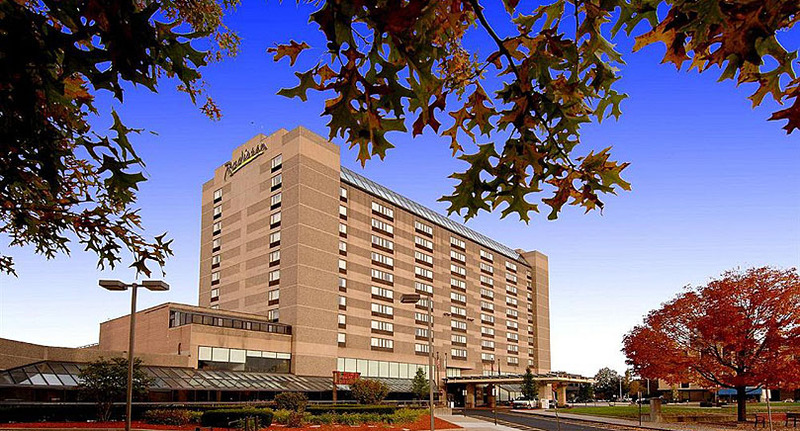 You can also call the Radisson Hotel Manchester Downtown directly at: (800) 967-9033. Make sure to ask for the Interweave Knitting Lab Group Rate when booking.